The modern resort of Elenite is situated east of Sunny Beach and 50km north of Bourgas at the foot of the beautiful Balkan Mountain. 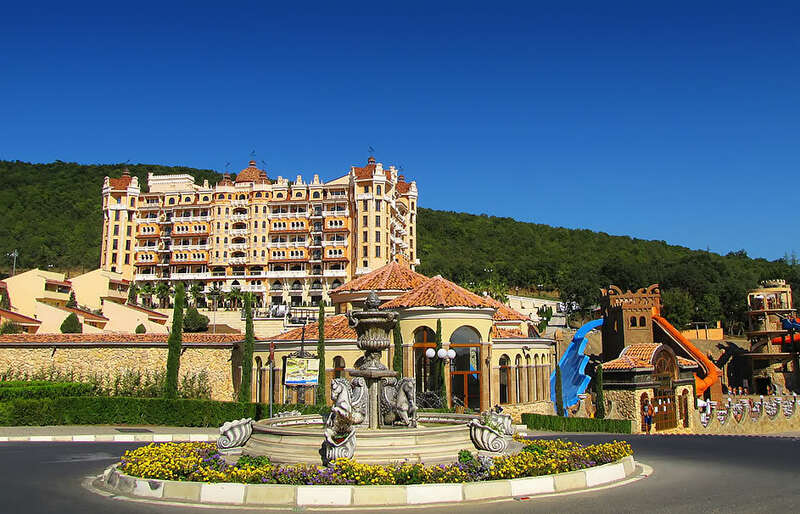 The nearest resort is St. Vlas. Besides the must-see old town of Nessebar, situated to the south of Elenite, the Emine cape to the north - which together with Kaliakra is the most popular Bulgarian Black Sea cape among visitors - is also a beautiful sight. The holiday complex is designed as a park, and offers one-family bungalows and luxury villas surrounded by green parks. Tes resort has its own private beach, several luxurious restaurants, sports facilities, a tennis court and equipment for water sports. Please read hotel reviews, promotion, bookings and choose from our hotel list the best hotel deal for your summer holidays in Elenite Holiday Village.